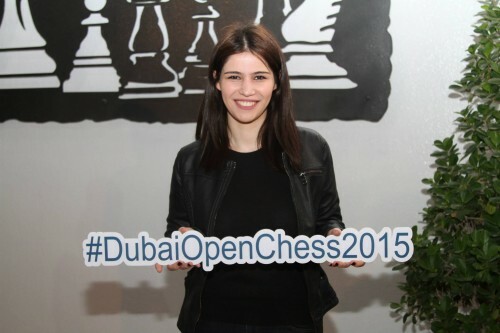 Fide Maser (FM) Saeed Ishaq returned to his giant-killing ways after the Dubai stalwart felled Serbian Grandmaster (GM) Milos Perunovic in Wednesday’s third round of the 17th Dubai Open Chess Tournament – Sheikh Rashid Bin Hamdan Bin Rashid Al Maktoum Cup at the Dubai Chess and Culture Club. Ishaq won a pawn in a complicated middlegame and then nursed his advantage through to a rook-and-pawns endgame to seal the victory and post his second point. 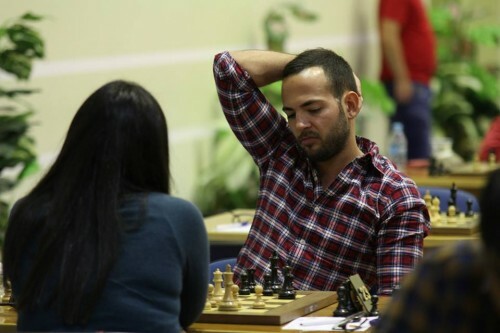 Looking to become the UAE’s third grandmaster, Ishaq, who defeated ninth-seed GM Eltaj Safarli of Azerbaijan in Monday’s opener, will play Indian GM R.R. Laxman in Thursday’s fourth round. GM David Howell, meanwhile, leads 11 other grandmasters with immaculate scores after the English top-seed outplayed American GM Jaan Ehlvest on board one. Second-seed GM Vladimir Fedoseev of Russia likewise maintained a clean slate after beating Indian prodigy GM Sahaj Grover. Others with perfect scores are GM Sergei Zhigalko of Belarus, GM Andrei Istratescu of France, GM Gadir Guseinov of Azerbaijan, GM Nils Grandelius of Sweden, GM Sergey Volkov of Russia, GM Dragan Solak of Turkey, GM Mikheil Mchedlishvili of Georgia, GM Gabor Papp of Hungary, GM Yuri Solodovnichenko of Ukraine and GM Gaioz Nigalidze of Georgia. Egypt’s International Master (IM) Mohamed Ezat is currently the highest-placed Arab player and the only non-grandmaster in the chasing pack as he sits on top of a group of 2.5-pointers. The 37th-seed Ezat held fourth-seed GM Mateusz Bartel of Poland to draw and will next face fifth-seed GM Yuriy Kuzubov of Ukraine. 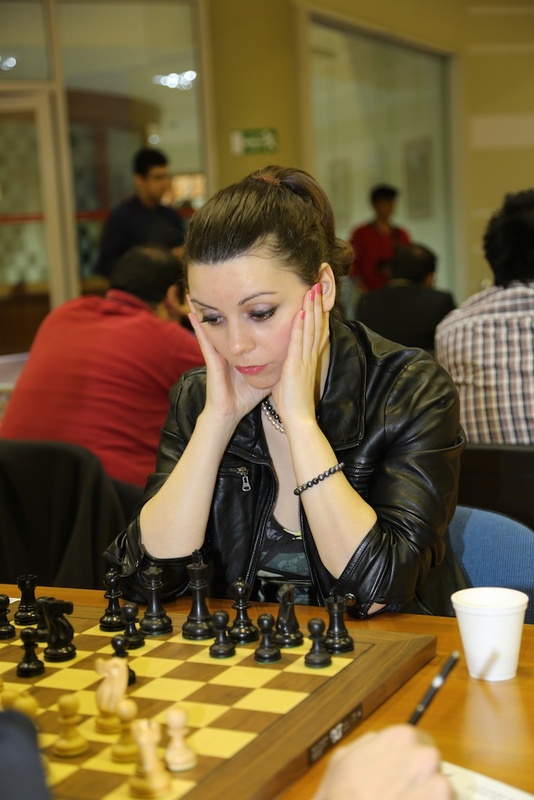 Egypt’s IM Imed Abdelnabbi is at joint third place with two points after defeating Woman Grandmaster (WGM) Marina Makropoulou of Greece. The UAE’s FM Saleh Nabil and Moroccan IM Tissir Mohamed also have two points each following wins over Emirati Al Hamed Saif Idrees and Jordan’s Rakan Alattar respectively. FM Mohannad Farhan of Jordan also has two points with a win over India’s Jijo Joy. The UAE’s Arab Under-18 champion FM Sultan Ibrahim held WGM Kubra Ozturk of Turkey to a draw to up his tally to 1.5 points. 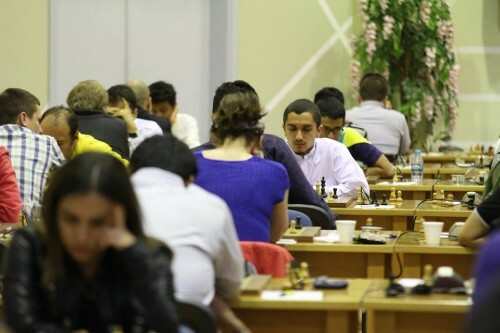 Jordan’s 91st-ranked Ahmad Al Khatib also held GM Alexander Kovchan of Ukraine to a draw to post 1.5 points. GM Beshukov Sergei of Russia was the lone grandmaster to lose to a non-GM in the third round when he dropped his match to FM Aravind Ram of India.